The rhetoric tends to be if you step to a man then expect to be treated like one. Many domestic survivors have talked about “walking on eggshells” when they were with their abuser. Yet, in the end, it didn’t matter what they did or didn’t do. Abusers abuse because they want to. Over time, domestic violence victims take on a “flight or fight” response. Living in constant violence, intimidation, and fear takes a toll on these women. Some victims flee to protect themselves, while others notice the red flags when the abuser is about to “go off,” and prepare to try to fight back. 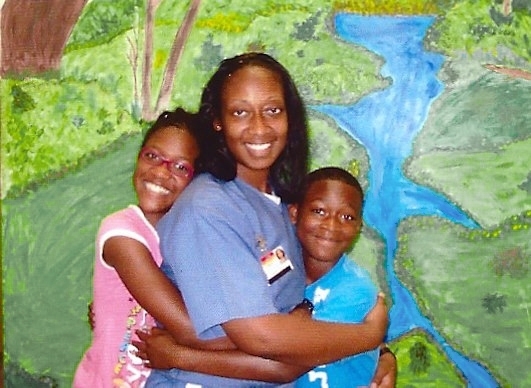 That was the case of Rice and for Marissa Alexander. Alexander fired a warning shot when she felt threatened by her husband. Alexander was sentenced to over 20 years in prison for firing this shot in the air. The incident took place in Florida, the same place where a defenseless black teenager was shot and killed. The killer was let off because he used the “Stand Your Ground” defense. This same strategy didn’t work for Alexander, despite the fact she didn’t even kill anyone. The killer was non black, Alexander is black. The harsh sentence spoke to the over criminalization of black people. This outraged people and there has been a campaign to free Alexander. The sentence has been overturned, for now. Alexander’s retrial is later this December. If found guilty, she could face a mandatory 60 years in prison. A lot of people don’t know that October is not only Domestic Violence Awareness Month, but is also the Month of Resistance to Mass Incarceration. There is a huge connection between domestic violence and the Prison Industrial Complex. The majority of black women serving ridiculously long sentences, is due to defending themselves against abusers. The rates of black women in prison has skyrocketed. “In 2010, black women were incarcerated at nearly three times the rate of white women” (Violence Policy Center, 2011; The Sentencing Project, 2012). When looking at the issue of domestic violence we need to understand the reasons why women fight back, that they have a right to fight back, and they should not be locked up for the rest of their lives for doing so.